Major Ahmed Ibrahim, a police officer, told ArmedPolitics by phone from Mogadishu that at least five people were killed, and dozens more, including a female lawmaker, were wounded and taken to hospital for medical treatment. 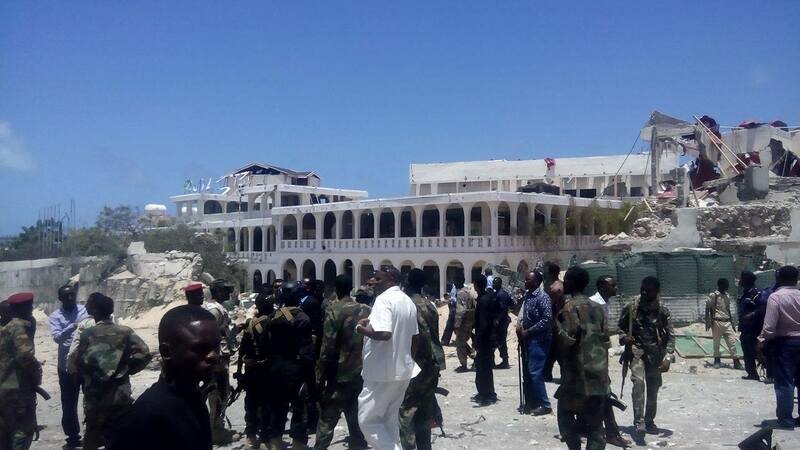 The truck-bomb explosion was followed by heavy gunfire, with reports that there was no attempt at a siege, nor did fighters enter the building of the SYL Hotel which is frequented by Somali government ministers and diaspora. Al Shabaab has claimed responsibility for the attack, according to Sheikh Abdulaziz Abu Musab, the militant group’s spokesman for the terror operations. They will pay for all that.